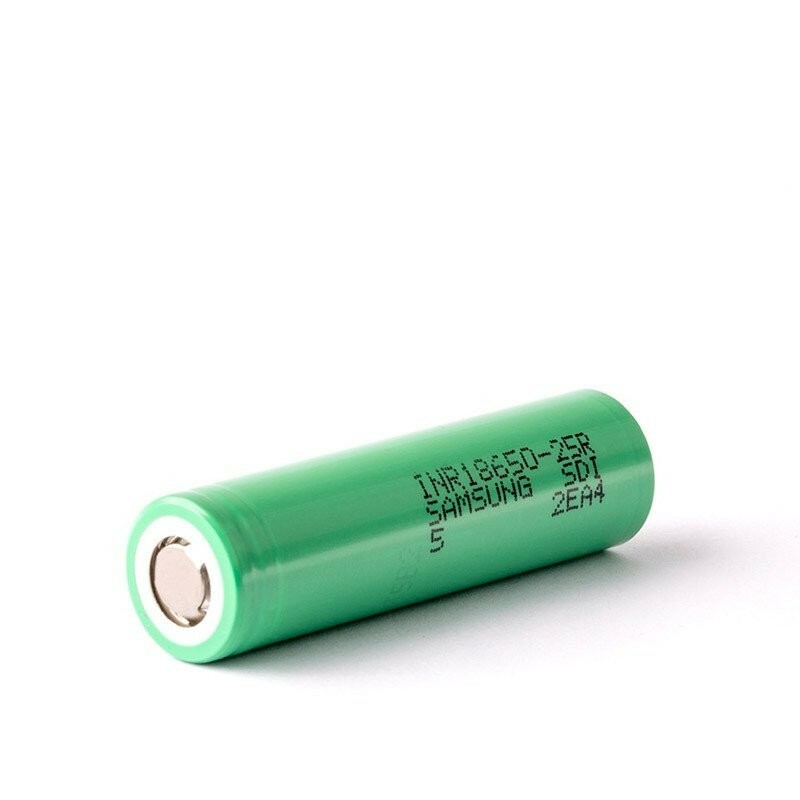 The Samsung 18650-25R 2500mAh Battery is one of the most popular power sources out there for mechanical mods. Its bright blue timid color hides the immense power that it brings. As mechanical mods keep becoming more and more popular, the need for better power sources becomes louder. The booming power that comes from the Samsung 18650-25R 2500mAh Battery has helped make it one of the most purchased batteries on the market and with good reason. Although their playful bright blue color might give off a feeling of safety, the great power contained within the Samsung 18650-25R 2500mAh Battery comes with great responsibility (yeah, we’re using that line), so be aware that there are no safety features on batteries like these and you must exercise extreme caution if you are a first time user. And just in case our technical support can’t fix your issue, the Samsung 18650-25R 2500mAh Batteries you purchase on Vapor Puffs is covered by a 6-month limited warranty. The warranty covers all manufacturer defects and all warranty replacements go through us. No need to search for manufacturer phone numbers and jump through hoops… Let us do all the work for you! Great batterylife and price. I reccomemd these over some of the higher priced ones. I’ve run these in a box and mech and have always have great results. Love that I can trust VaporPuffs to not have clones! Safe vaping is happy vaping ? Hands down some of the best batteries on the market today. Currently running these on an ipv 3 LI and couldn’t be happier. Performs wonderful, Once charged they last me all day and haven’t had any issues since purchase. Highly recommend picking up a pair of these with your device. I use these batteries on my HEAVILY used on my 920 lumen flashlight. I have had Samsung batteries for nearly 2 years and they still hold a really good charge after that long. I like these batteries much more than the ones supplied from the flashlight manufacturer. Paired with the Nitecore D2 charger that Vapor Puffs also sells you will not go wrong with your vape. I recently started using these batteries for my vape and couldn’t be happier, now I have a truck full of batteries (1865s and CR123s) for my lights and vape and always have plenty fully charged and ready to go. I use these on my new Kanger Mod. They’re very good batteries, they keep the charge and cheaper than other over priced batteries on the market. Highly recommend!